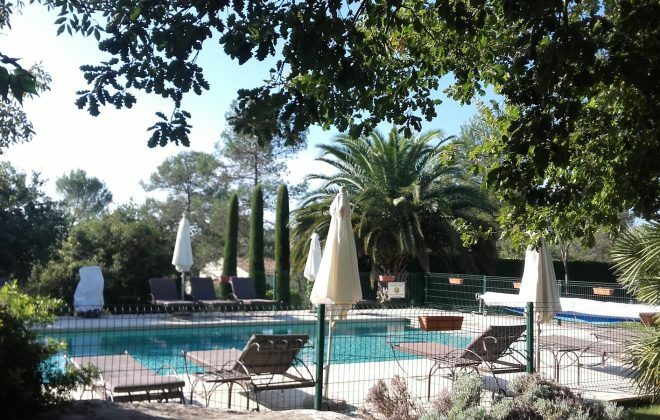 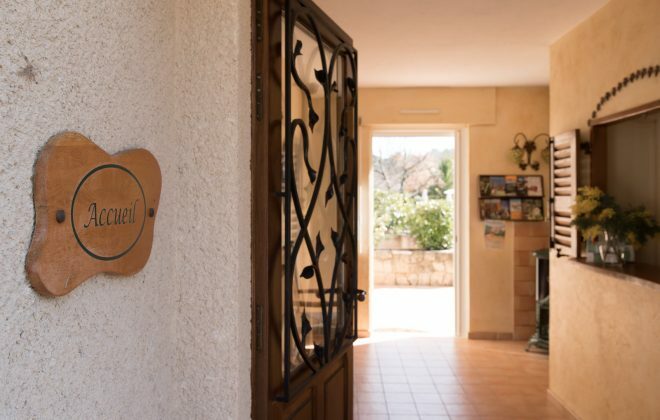 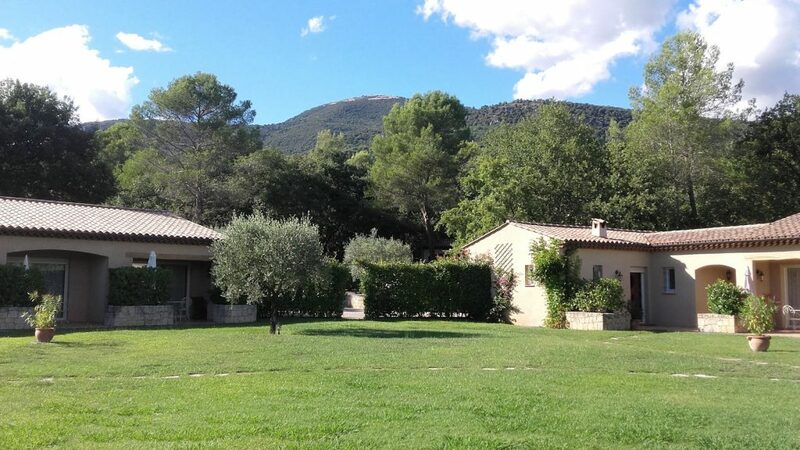 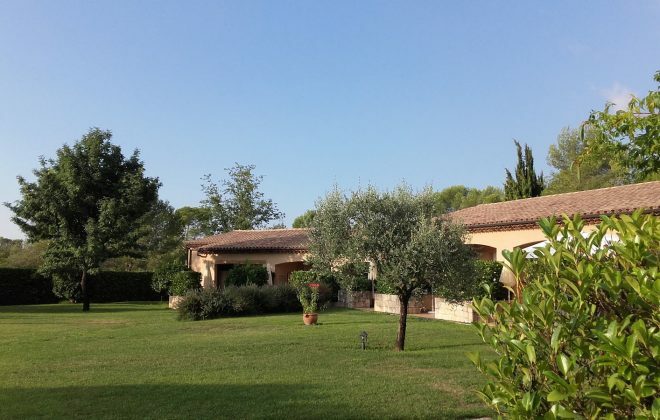 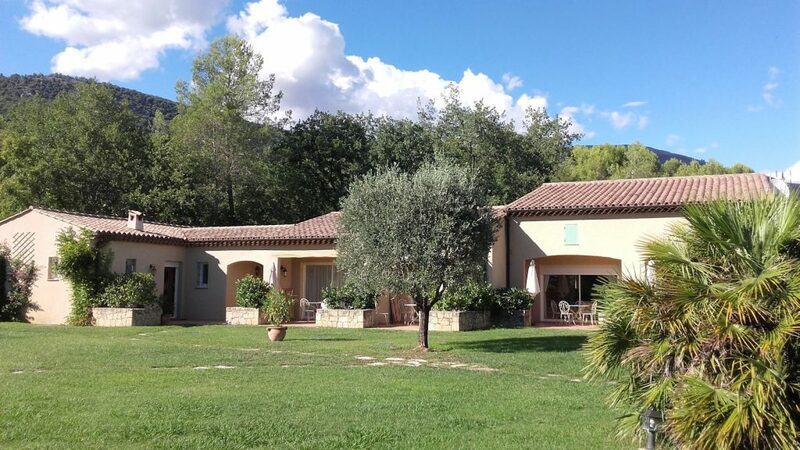 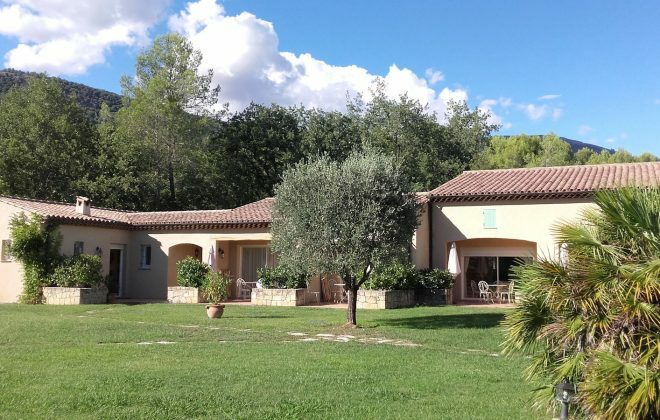 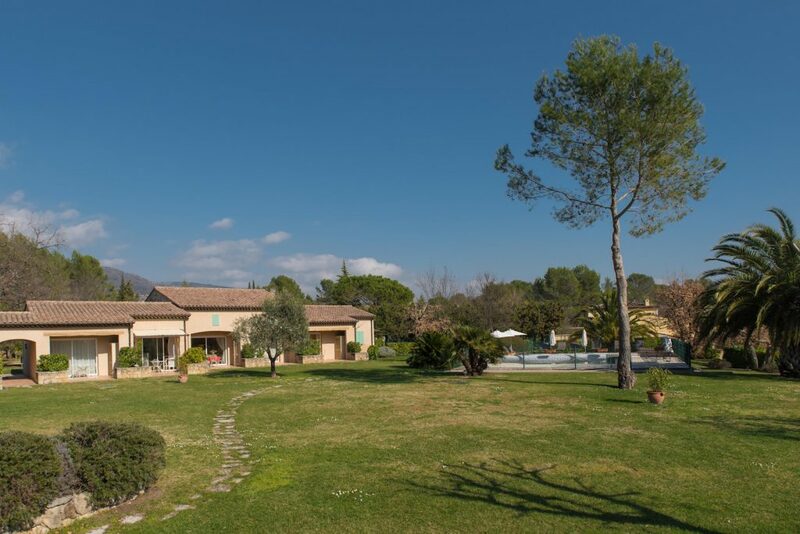 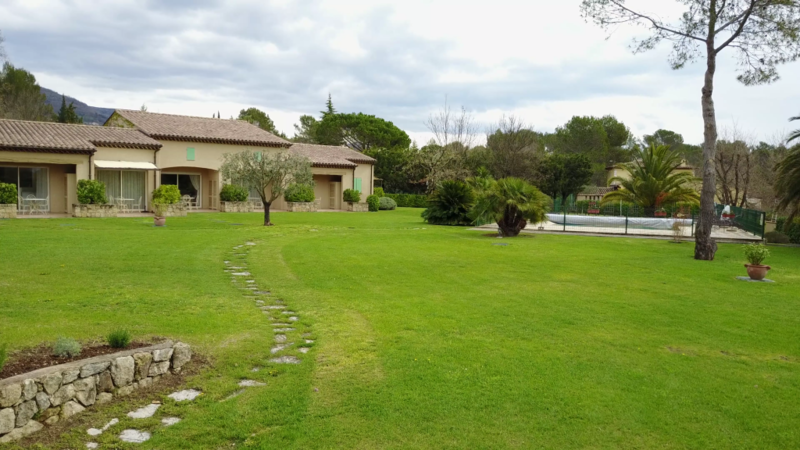 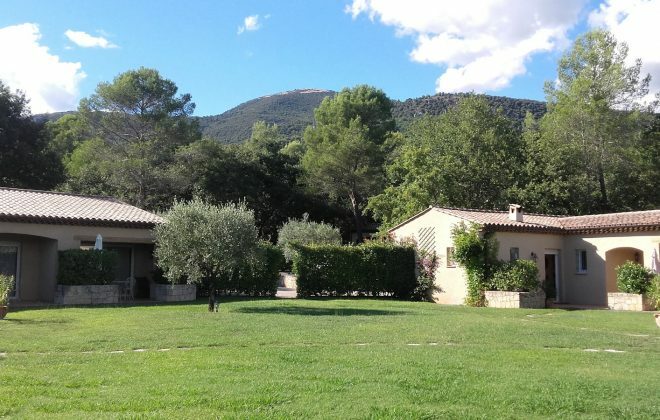 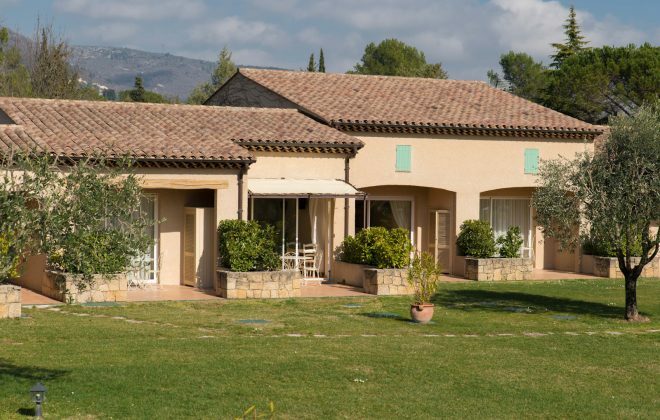 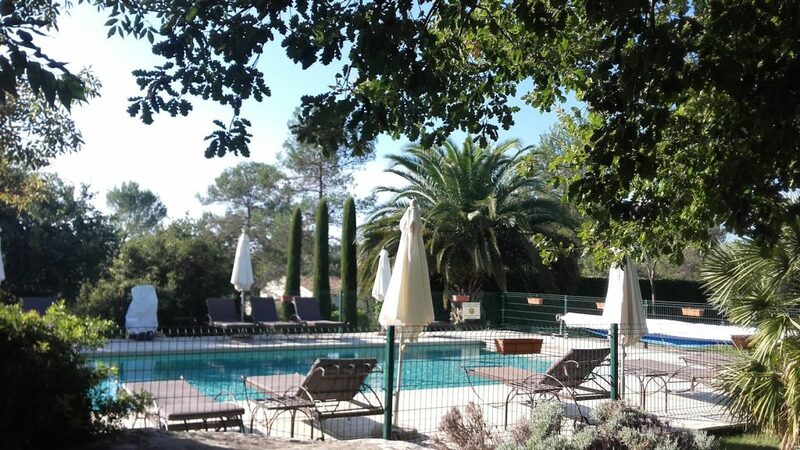 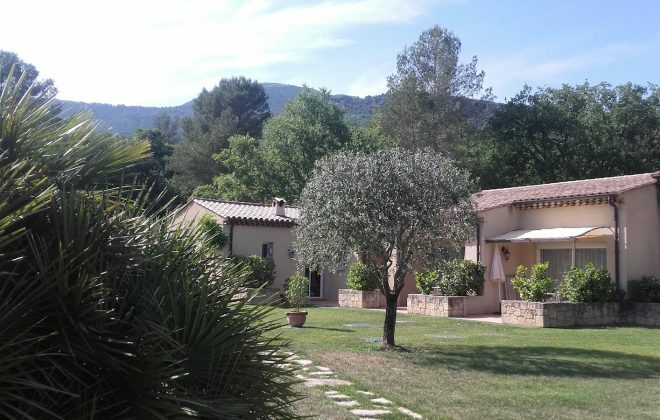 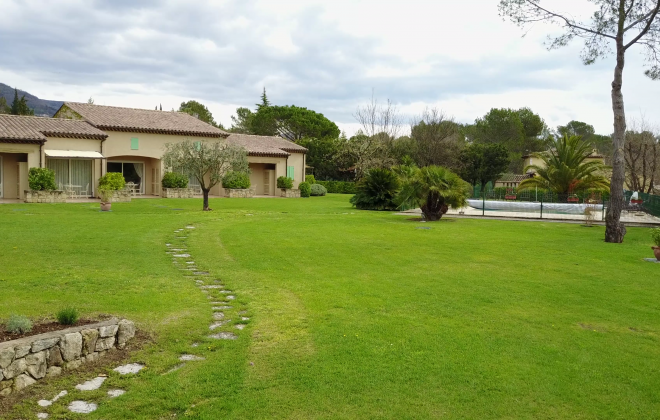 The Residence du Moulin is nestled at the end of the Chemin du Moulin in Farine, a 2 kms drive from the medieval village of Tourrettes sur Loup. 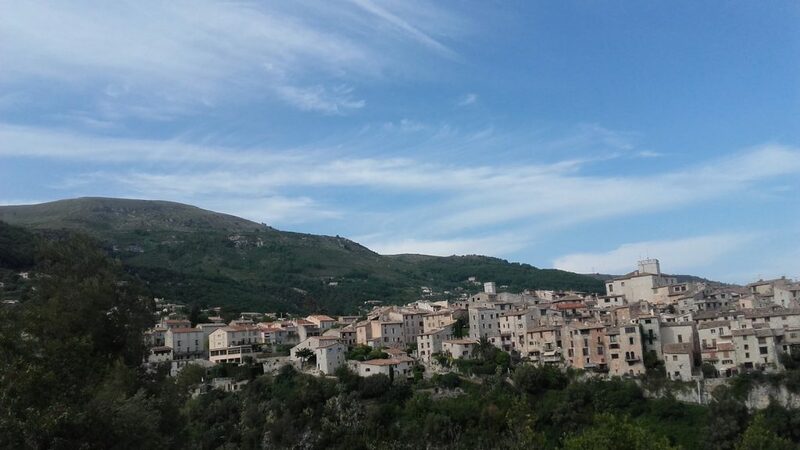 A pedestrian path also allows you to go up to the village in 20 mn. 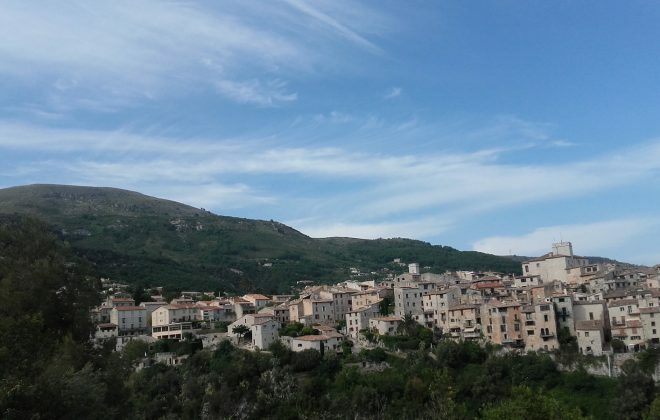 It is an excellent starting point for many hikes in the heart of the hills of Tourrettes and the hinterland. 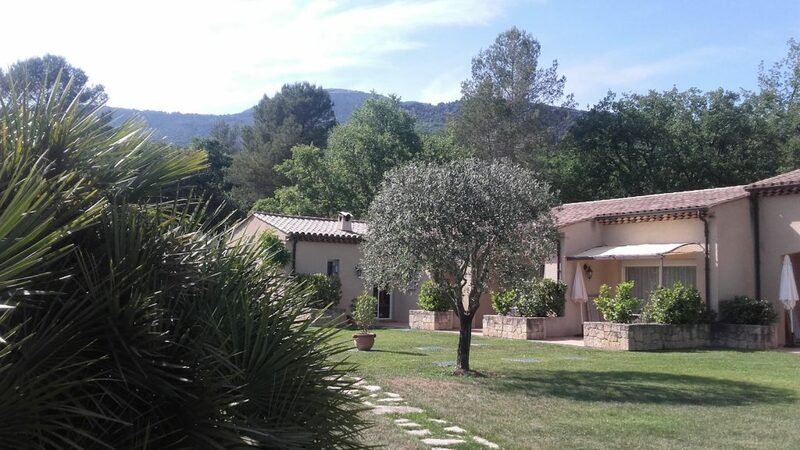 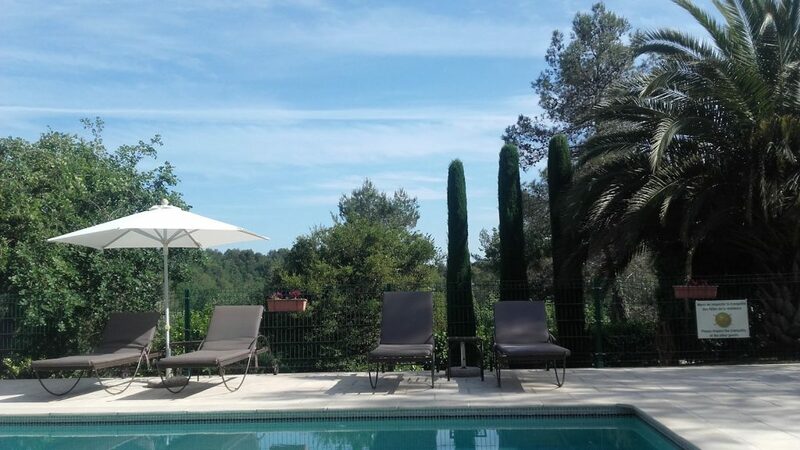 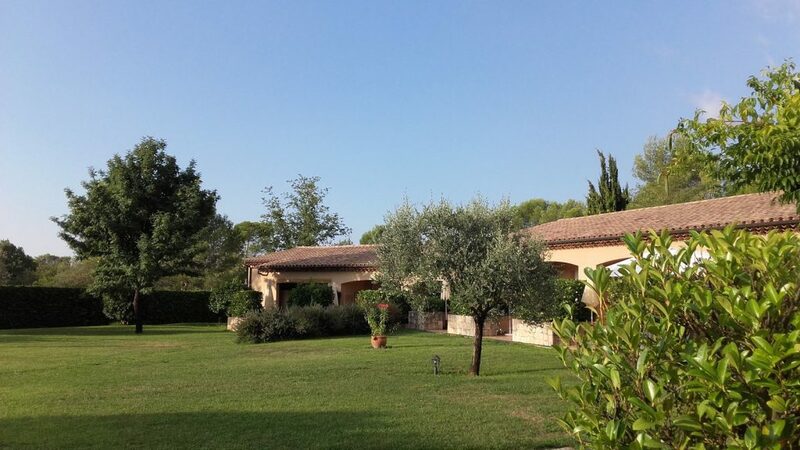 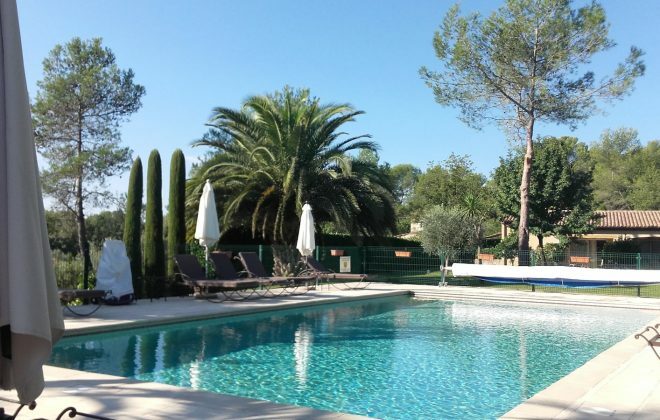 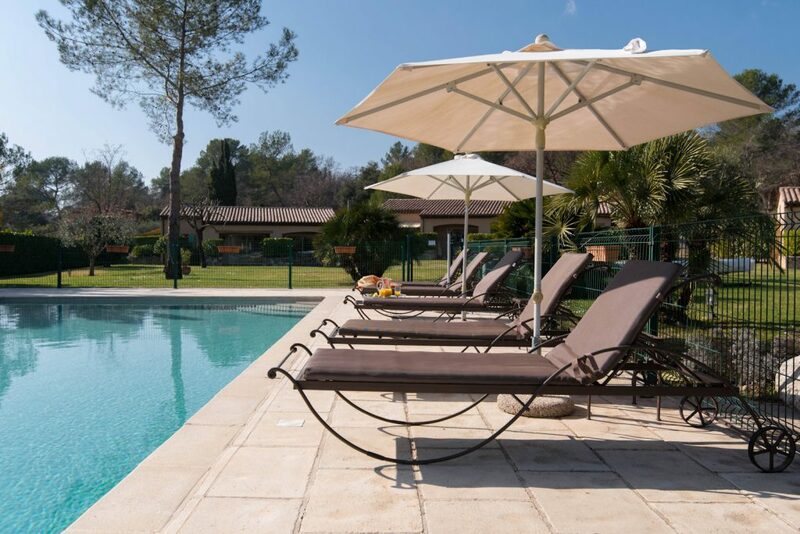 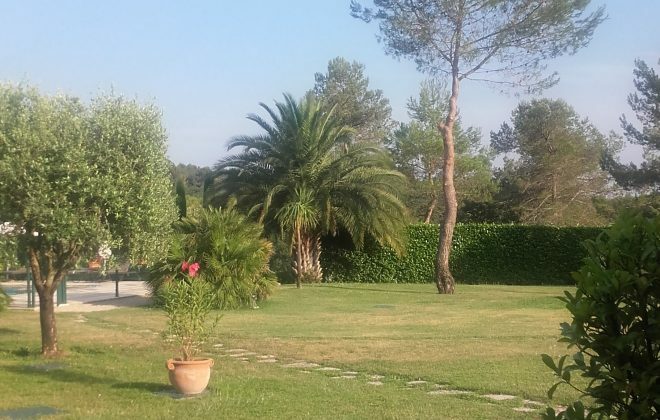 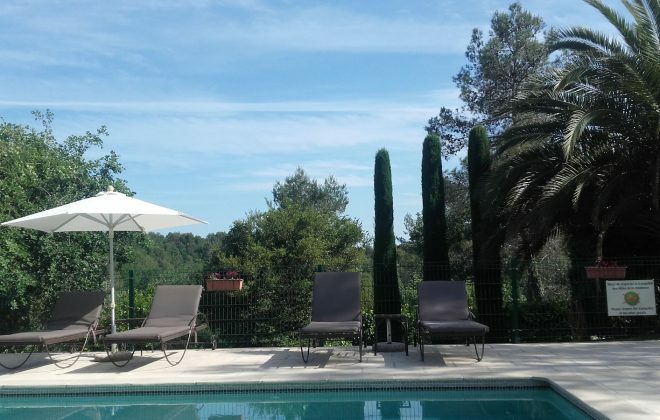 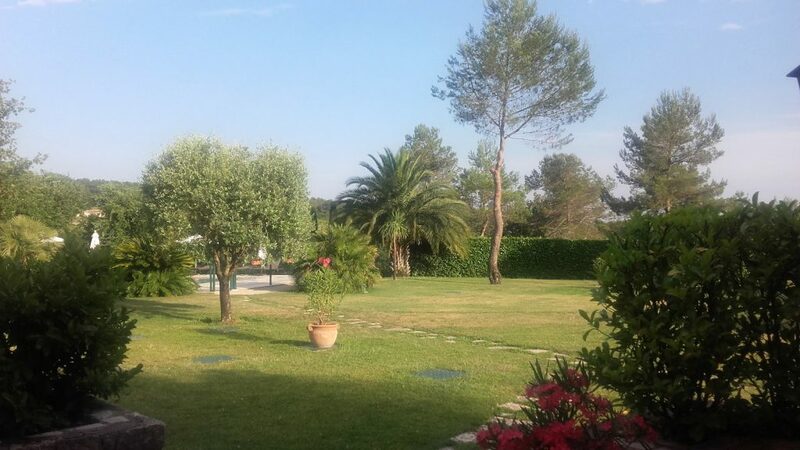 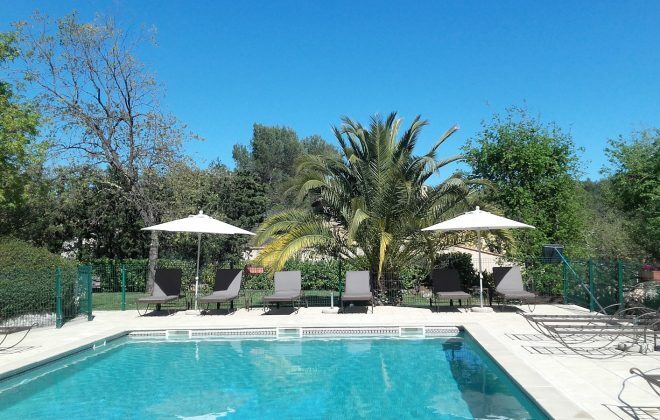 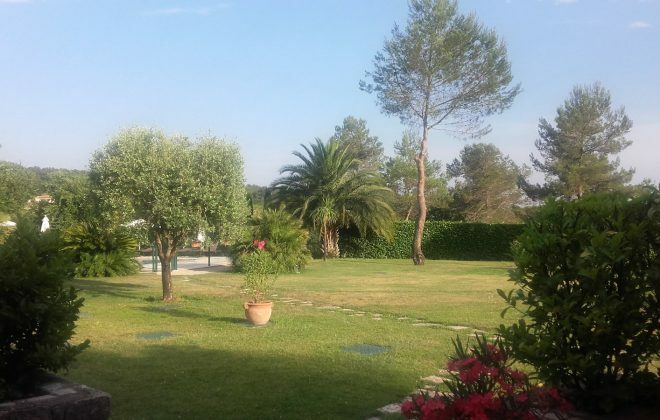 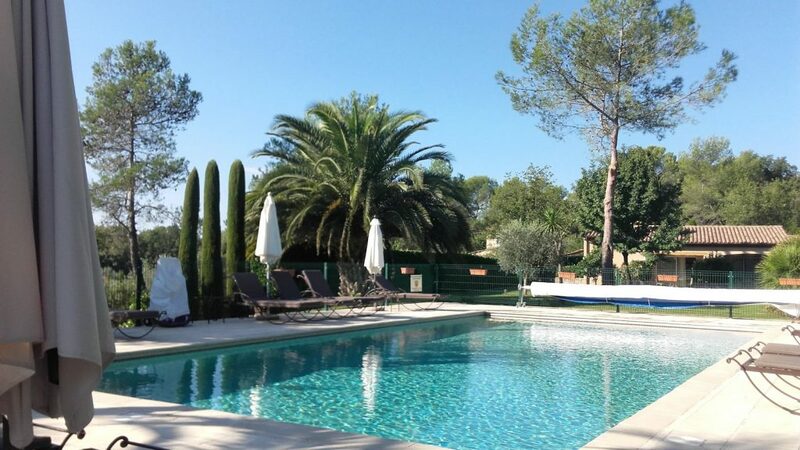 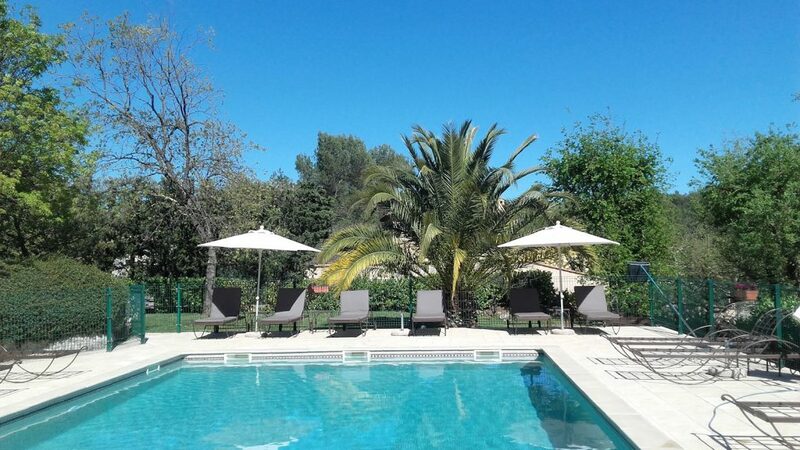 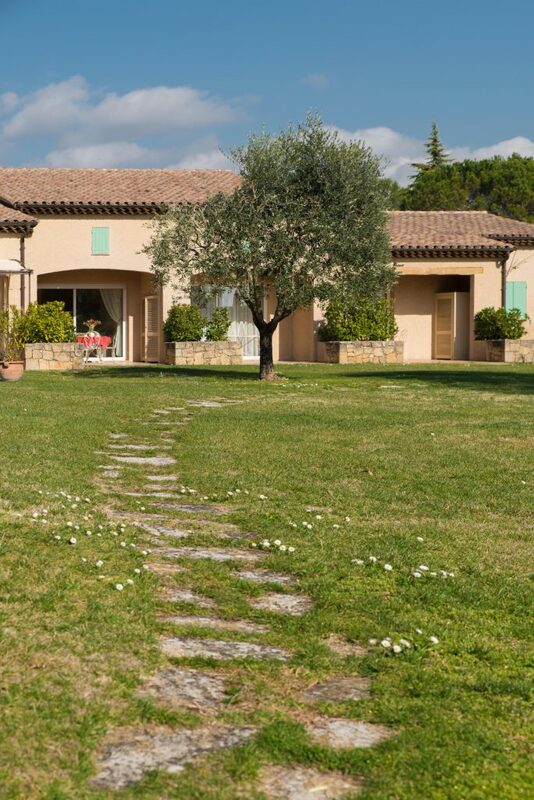 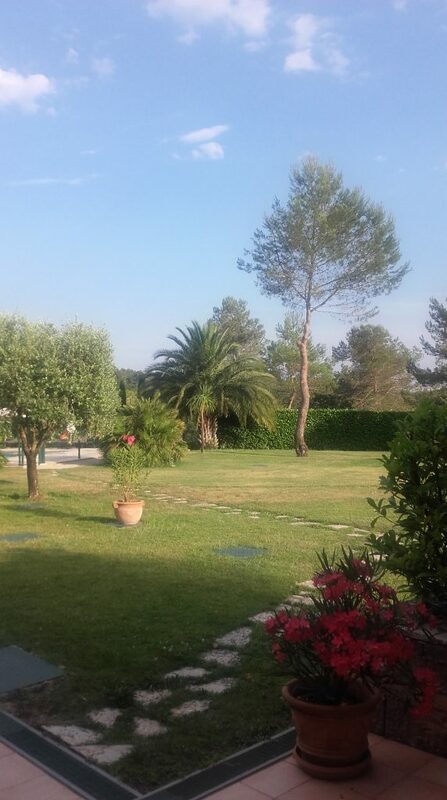 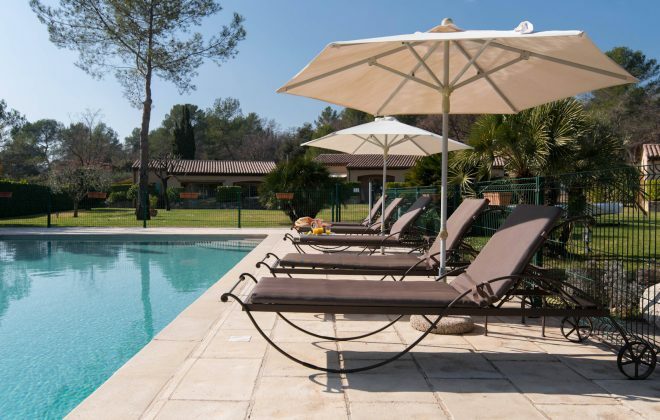 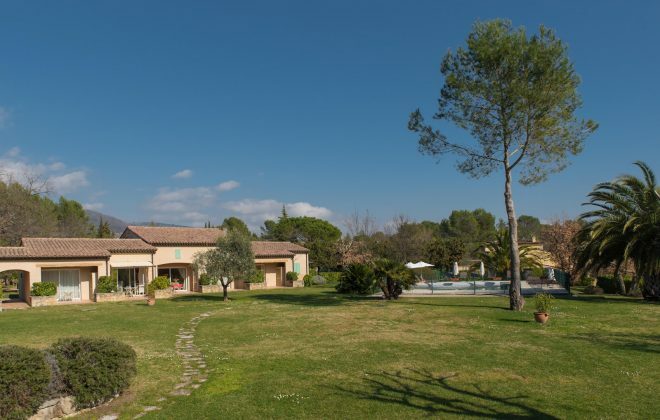 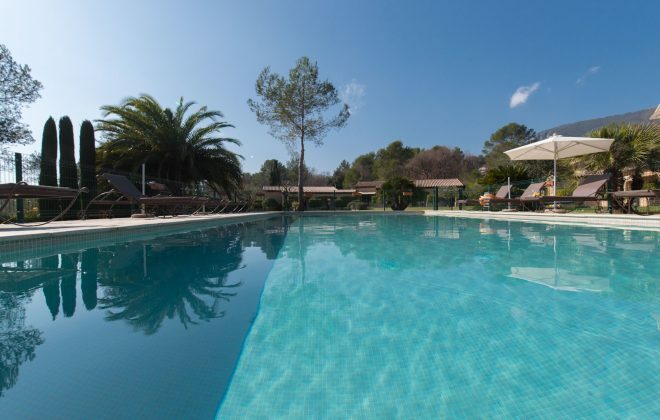 Located in a haven of greenery, the Residence du Moulin welcomes you for a stay placed under the sign of calm and relaxation in the heart of a private estate of over 5000m2 planted with Provençal species and lulled by the sound of birds. 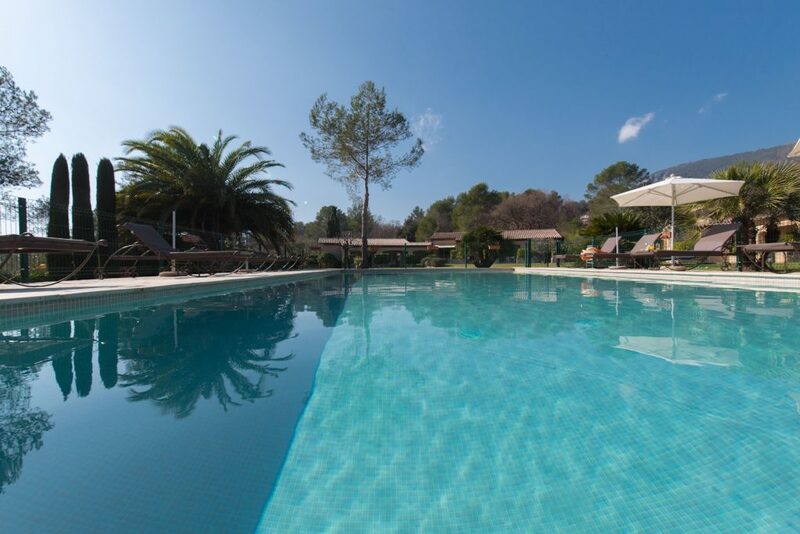 The swimming pool (12mx6m) common to the guests of the Residence is heated from April to October. 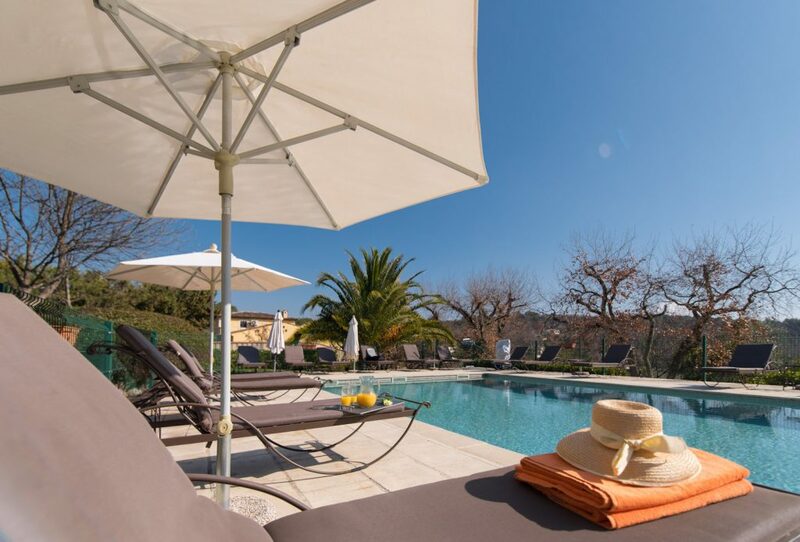 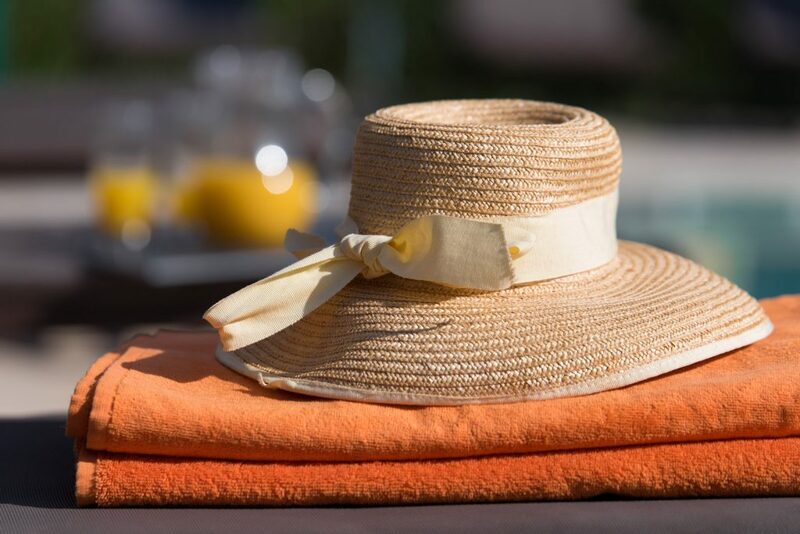 Equipped with sun loungers and parasols, it will allow you to enjoy the exceptional sunshine of the Côte d'Azur and relax while swimming. 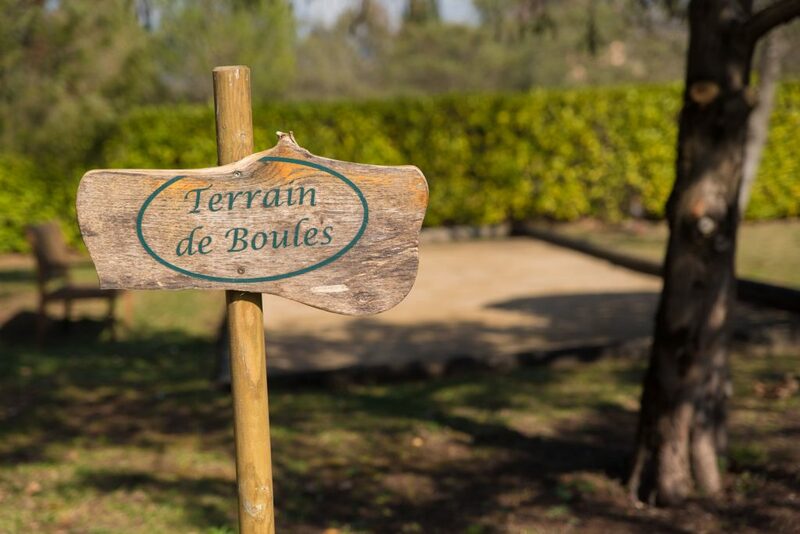 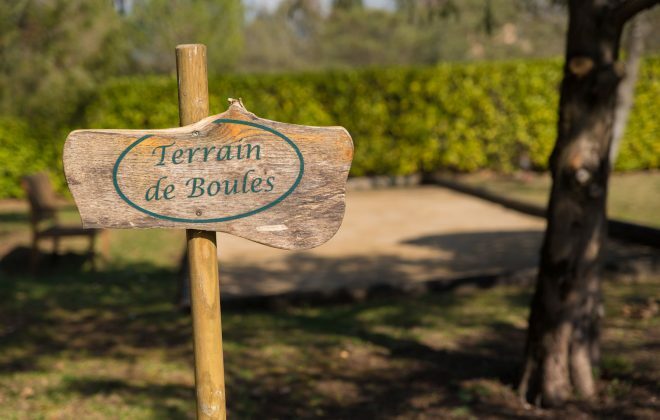 The boulodrome is at your disposal for one or more games of petanque and on request we can put at your disposal: a ping pong table, games of badminton or cricket and various board games.